Women and girls spend hours every day walking and waiting for safe water for their families. With few choices, poor families may have to rely on polluted, shallow wells if a safe pump isn’t close by. A lifetime of clean water means healthy girls who can spend more time in school, and expanded opportunities for women to be more than water carriers. Clean water can mean the difference between life and death. According to WHO, diarrhea is among the main factors contributing to the deaths of 9% of children under the age five worldwide. 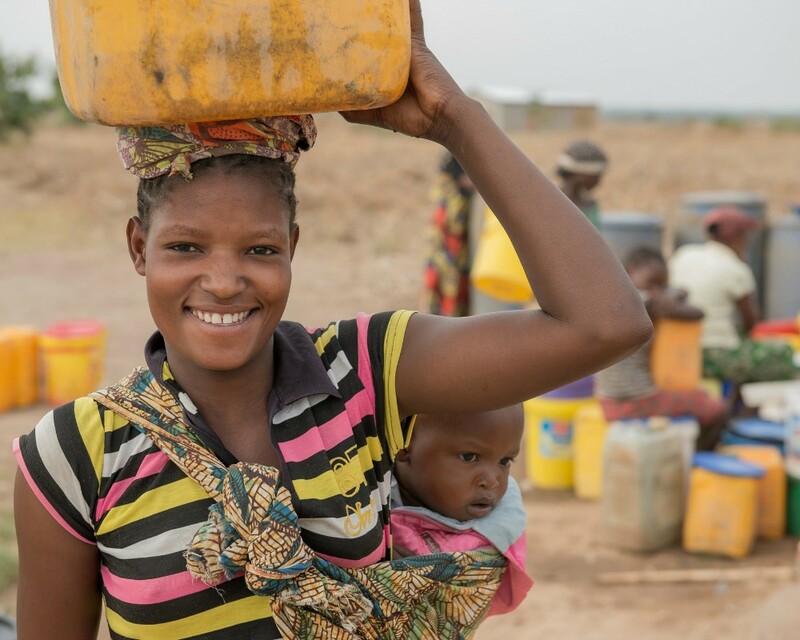 In Zambia, Justina comes to the water pump at Makululu Home Based Care to draw safe water every day. She and her children may spend up to four hours waiting in line for their turn at the pump. She will spend many hours more transporting up to five 20 liter containers back to her home. Programs to provide safe water are critical to ensuring a child’s survival. In remote communities, poor families may have to rely on shallow wells. Community health workers record high numbers of diarrhea and dysentery cases among young children in areas like these due to lack of clean, safe water.